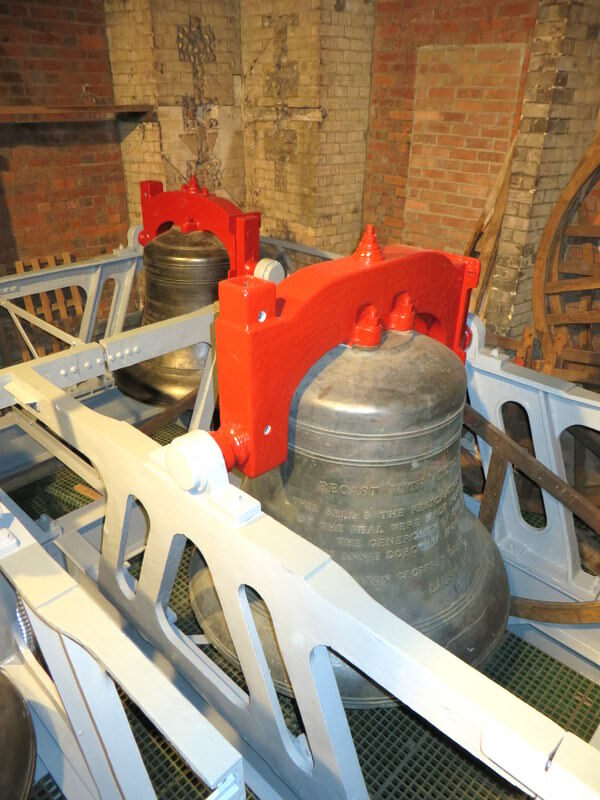 Regular maintenance and servicing of bell installations is essential if the equipment is to perform at its best. It can also give warning if any major problems are developing and prove to be very cost effective. Such servicing gives peace of mind to clergy and church officials alike. Our engineers travel widely carrying out such contracts on an annual basis both in the United Kingdom and abroad, and our detailed reports are valued by architects who are responsible for all areas of the buildings they oversee even if their personal expertise does not include an understanding of bells and its related equipment. 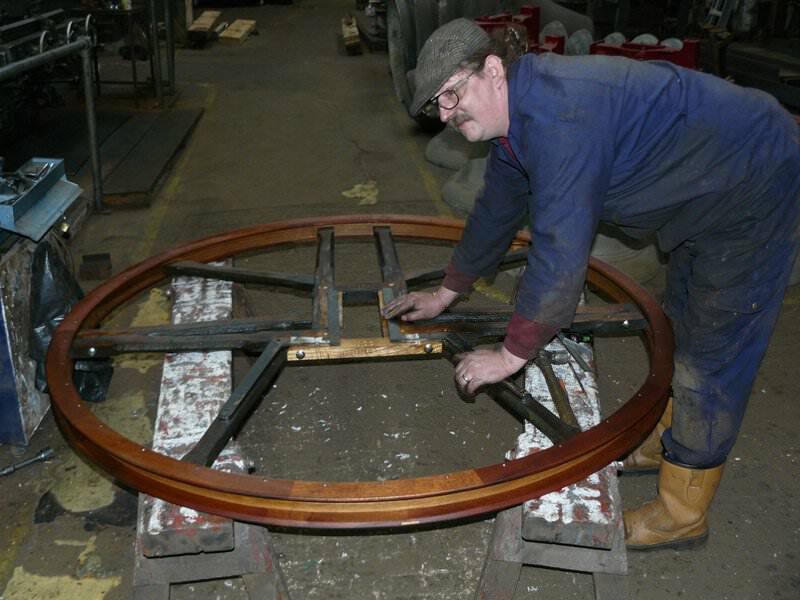 Damaged bell wheel being restored with new outer soling and shrouding. 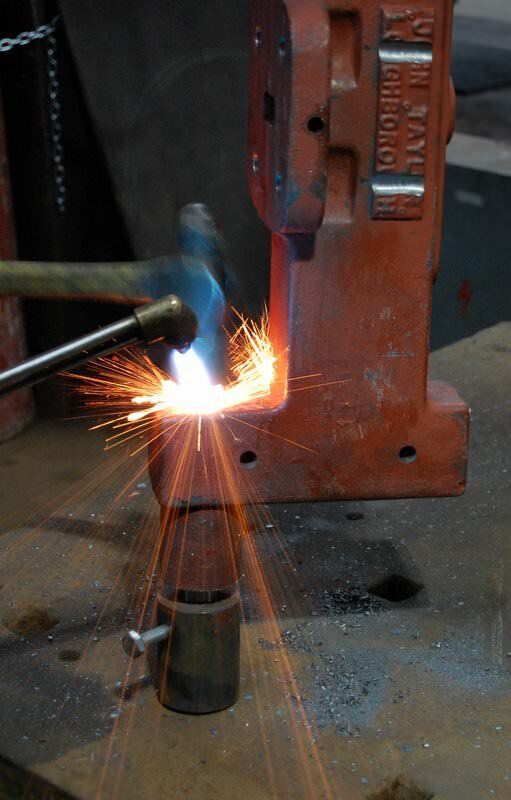 Fittings new gudgeons to a cast iron Taylor headstock. A set of speroidal graphite clappers after rebushing and reprofiling by our engineers. 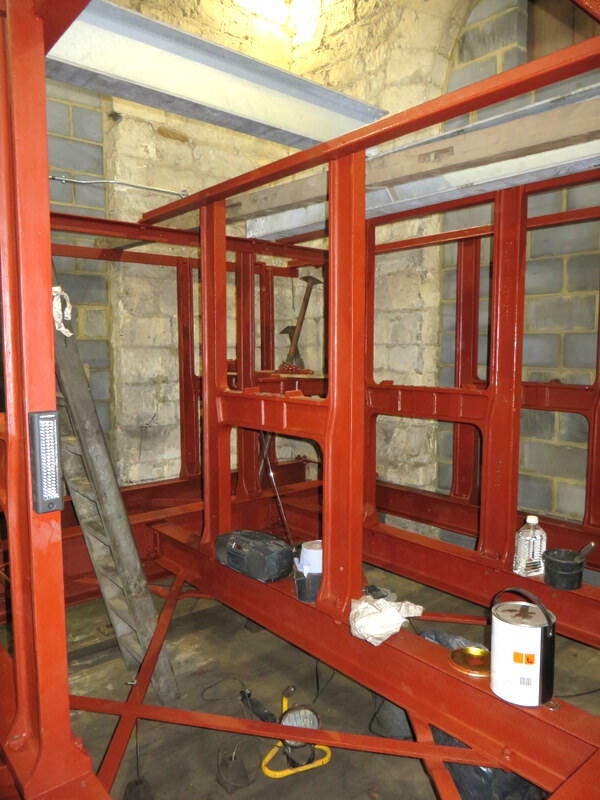 The iron & steel bellframe has been thoroughly cleaned and red oxide primer has been applied - enamel gloss will complete the job. The cleaning and painting of bellframes is vital if they are not to deteriorate. 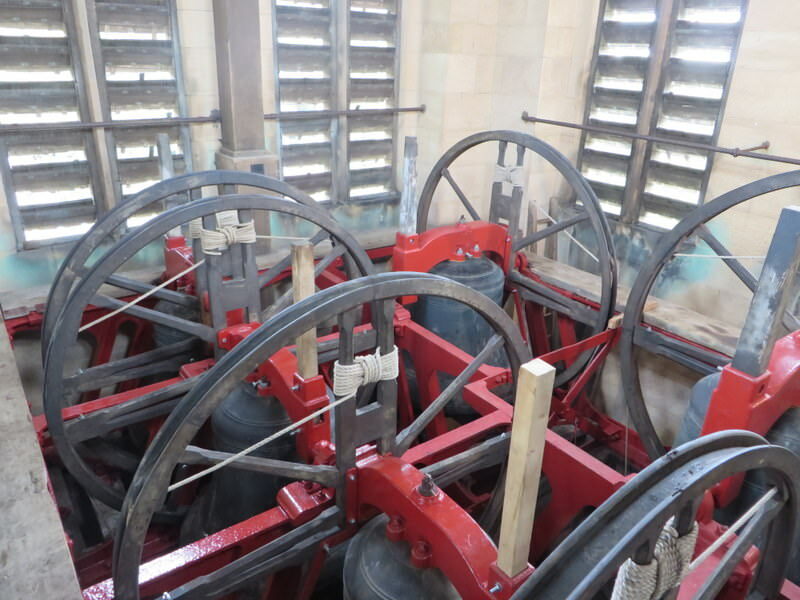 Fittings are stripped from the bells before painting begins. 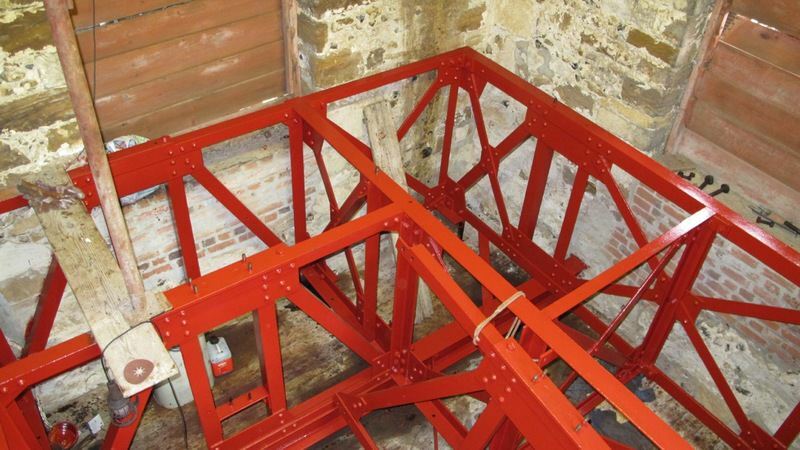 A newly painted bellframe while the bells are at Loughborough during a bell restoration scheme.